Here we will be reviewing a pair of MMA shorts from the company Clinch Gear. The Clinch Gear Pro Series MMA shorts is designed for competitive athletes as well as hobbyists. The following content will describe features of this product and my personal experience using them. Physical Appearance: The Pro Series MMA shorts by Clinch Gear are available in a large assortment of color combinations. Furthermore, one set of these shorts utilize a simple and clean look while the other set has a more extreme eye catching design. An example of the contrast between these two types of design is shown below. Fabric: Clinch Gear Pro Series shorts are composed of a durable suede microfiber material with moisture-wicking properties. Side Panels: The shorts side panels consist of a stretchy fabric sublimated with the Clinch Gear graphic. Inner Thigh and Crotch Panels: The same stretchy fabric is used for the inner thigh and crotch region. 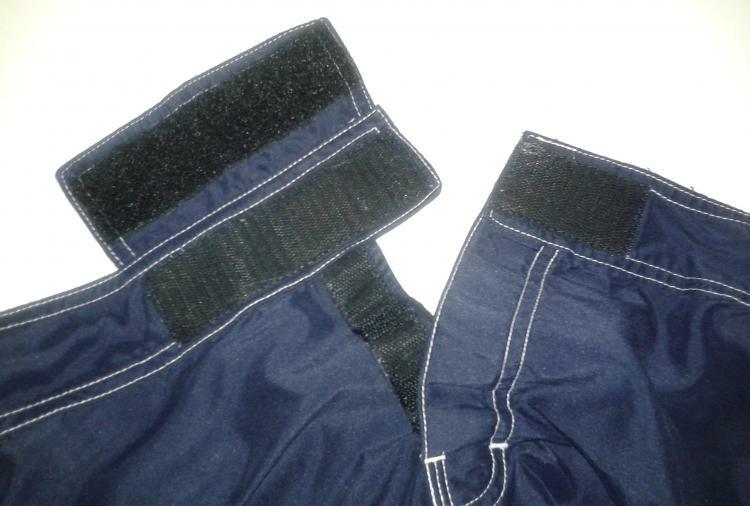 DoubleGrip Waistband: Hook and loop fasteners, commonly known as Velcro, hold these shorts in place and allows its user to quickly put the shorts on as well as remove them. 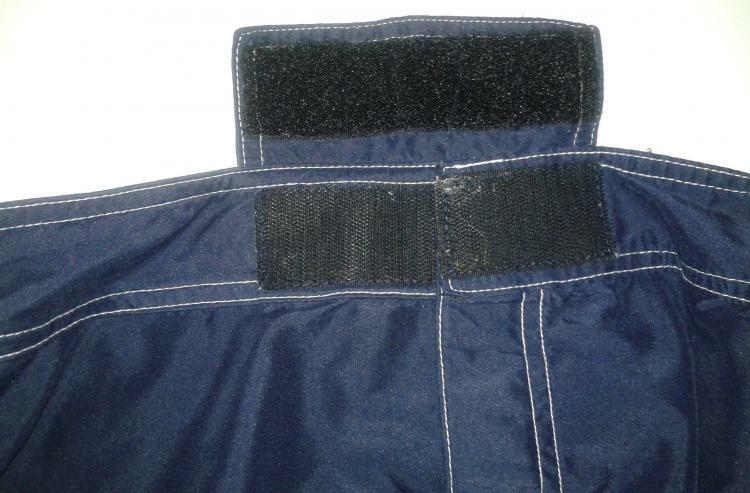 Clinch Gear integrated a unique Velcro design with their shorts called the “DoubleGrip waistband” that is visible in the image below. 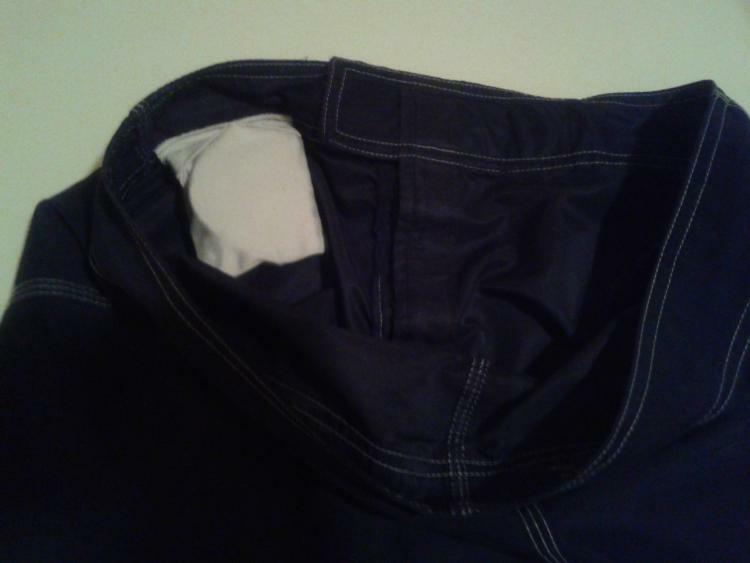 Mouth Guard Pocket: A small pocket behind the waistband permit the wearer the ability to conveniently hold their mouth guard as demonstrated by the following image. The Pro Series shorts is one of the lightest and most comfortable MMA shorts I have ever own. I like how they combined the soft suede microfiber material with a stretchy fabric at optimal locations. 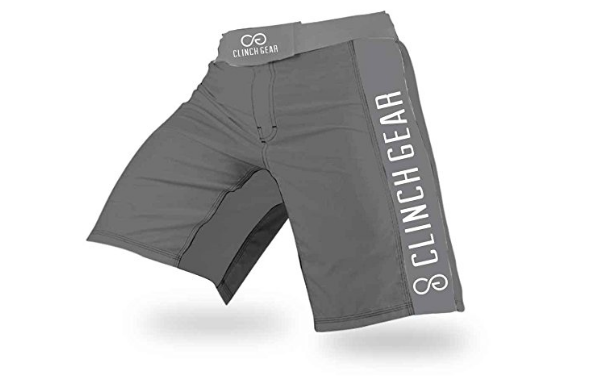 In addition to being comfortable, these features provide the Clinch Gear shorts with great flexibility and maximizes my mobility while wearing them. Furthermore, the stretchy fabric on the inner portion and sides are excellent and does not limit my kicking movement and range of motion. I enjoy the simple yet powerful DoubleGrip Waistband design incorporated into the Pro Series shorts. I do not have any complaint about how the hook and loop closure design work. I simply wish Clinch Gear incorporated laces with these shorts for the additional ability to adjust the tightness of the shorts around my waist. For utilizing such a thin and light fabric, I am impressed by how durable the microfiber material has been. Before I purchased my Clinch Gear Pro Series shorts, I bought a similar style MMA shorts from another brand. This other option was designed to be extremely lightweight as well. However, it ripped during a grappling session within a month’s use. This negative trade-off between using a lightweight material and its lack of durability has not been experienced with the Clinch Gear shorts. The only sign of wear and tear on my Pro Series shorts is the stitching by the inner thigh panels that have started to come loose. I do not believe this is a concern to be alarmed about or representative of the product’s overall durability. My reasons are that this is a minor issue that does not affect the product’s performance and the fact that this is the only indication of damage after two plus years of abuse is actually quite amazing. The graphics on the Pro Series shorts’ side panels went through a specific process called sublimation, which makes its graphics much less likely to break down over time, unlike graphics that are screen printed onto clothing. Analyzing the side panels on my current shorts, the Clinch Gear logo and wording still retains its form and colors. Overall, the quality construction and durability of the Pro Series shorts grant me the ability to wash them with my regular clothes without concern, which also provides great convenience. The Pro Series shorts from Clinch Gear is one of the more expensive MMA shorts sold in the market. I have spent $30 dollars on an MMA shorts that ripped within one month’s use, so sometimes the extra costs may be worth the investment for a long lasting product.